Early morning. The air is cool and crisp. Harvesting is hard work. The work generally starts before dawn, to avoid the heat of the day. 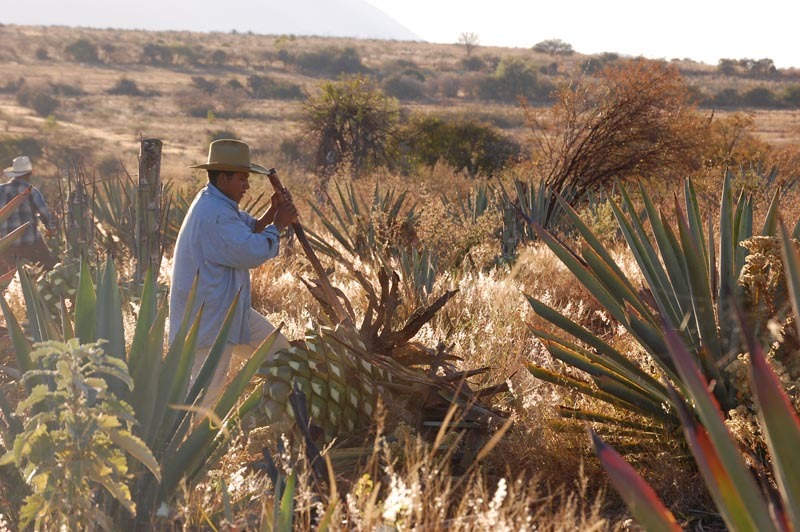 The harvesters, called “jimadores”, use a long pole with a sharp blade on the end (a “coa”) to cut the agave away from its central root. Using the coa to trim off the root. 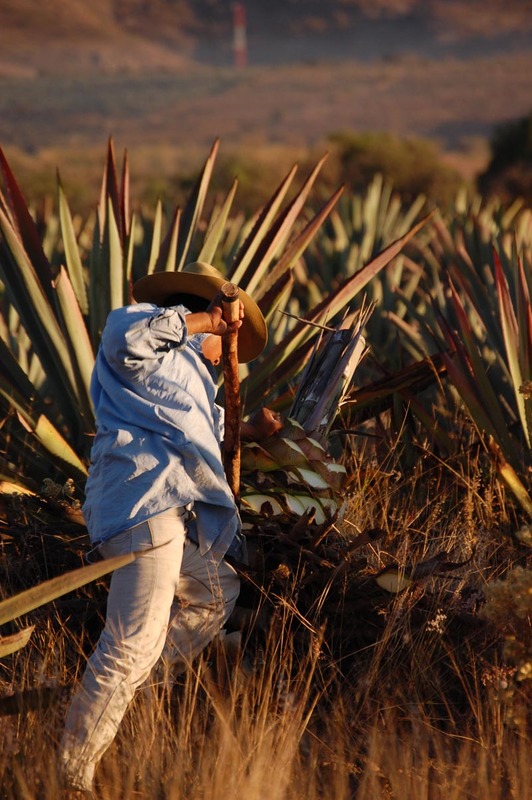 The central round heart of the agave is called a “piña”, Spanish for “pineapple”. 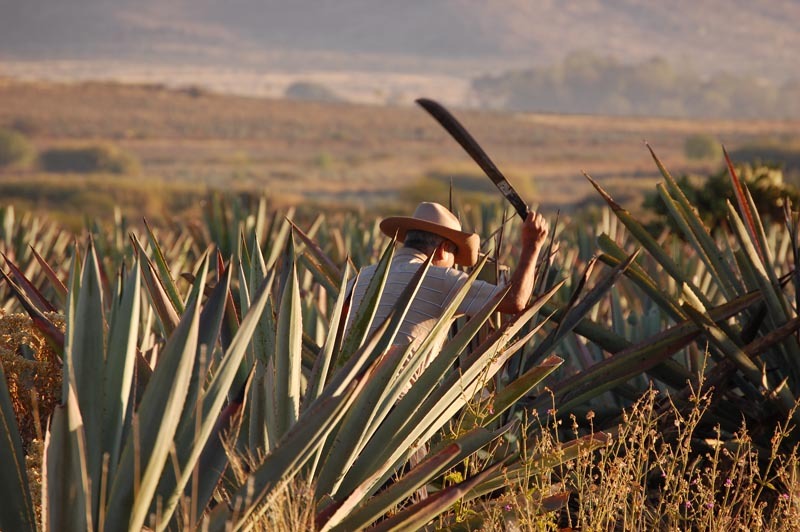 The jimadores use machetes to trim off the spiny leaves. 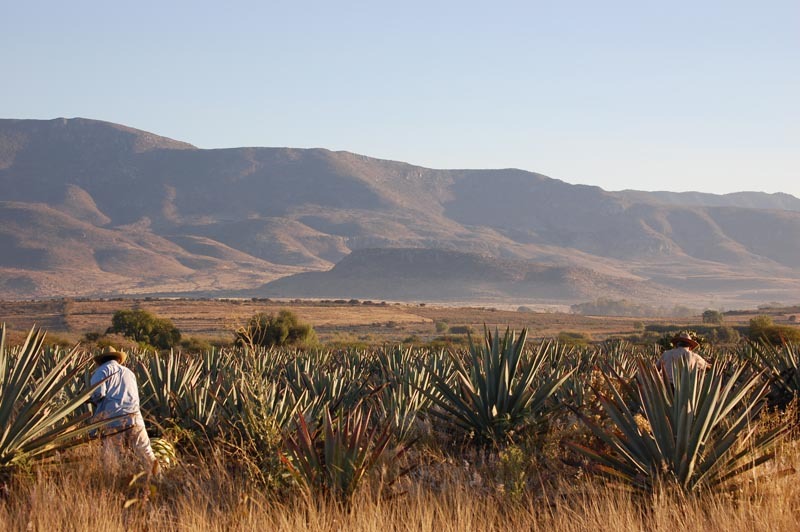 If they take too much, the mezcal loses flavor; take not enough, and the waxy coating on the spines make the mezcal bitter. 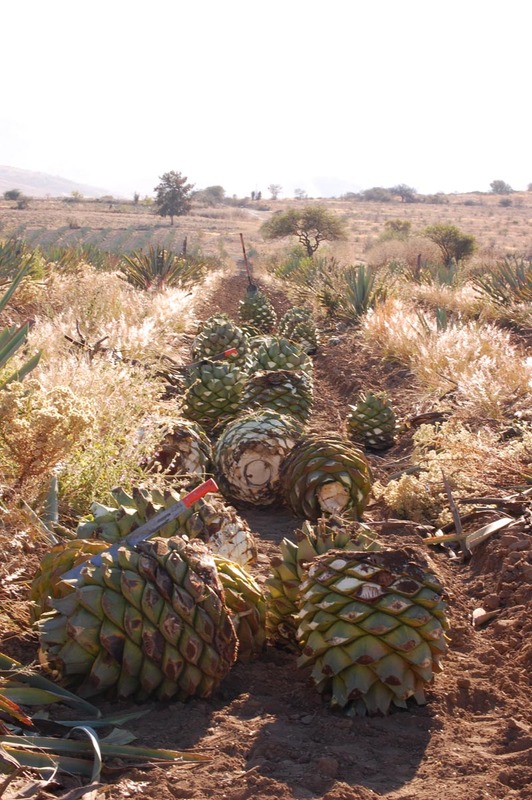 About a ton of trimmed agaves. 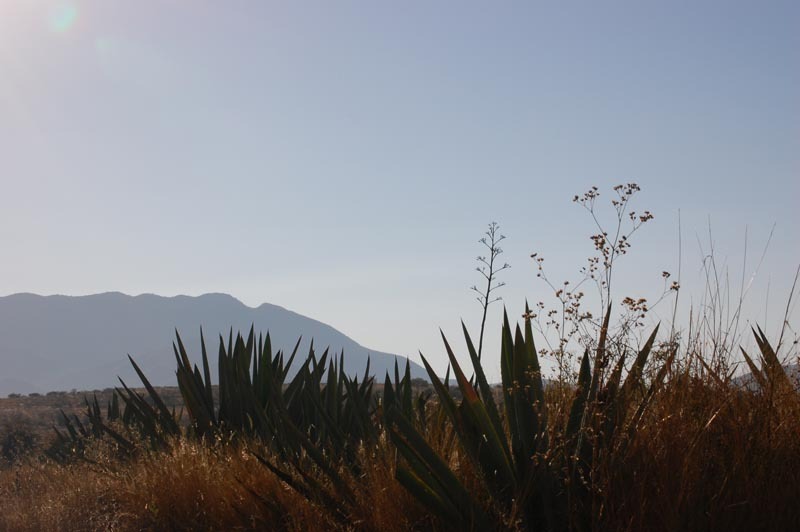 They will become about 120 bottles of mezcal. 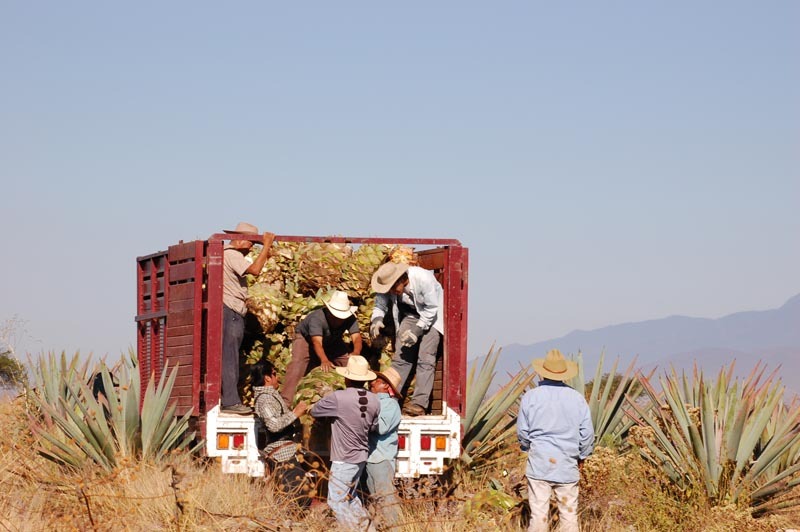 A mature agave espadín is heavy even when trimmed out, like 160 pounds. It takes four men to put one in the truck. 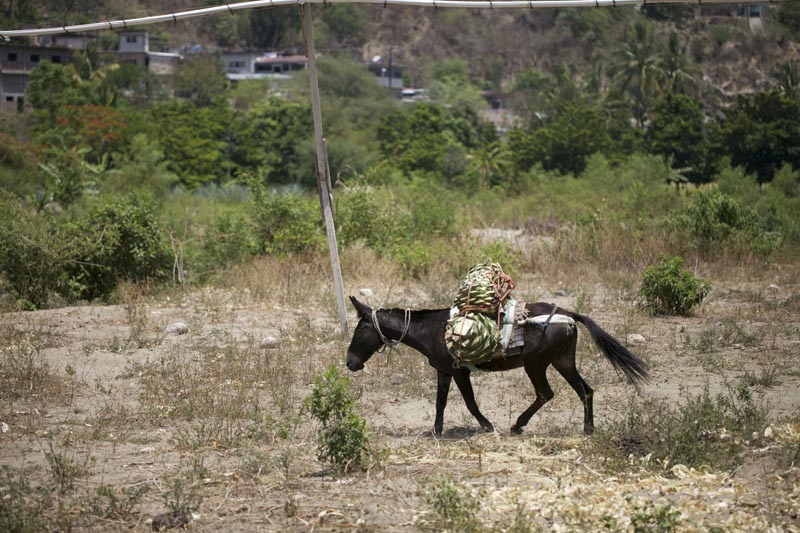 Seres humanos trabajando en la belleza dulce de Oaxaca.